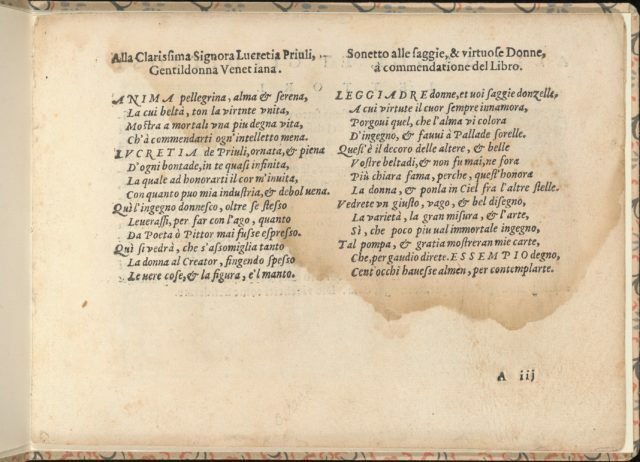 Published by Giovanni Ostaus, Venice, woodcut of Lucrezia designed by Giuseppe Salviati (Giuseppe Porta, called Il Salviati), Italian, Castelnuova di Garfagnana ca. 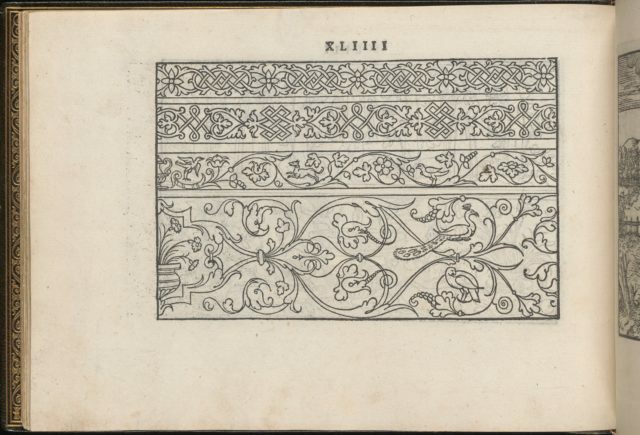 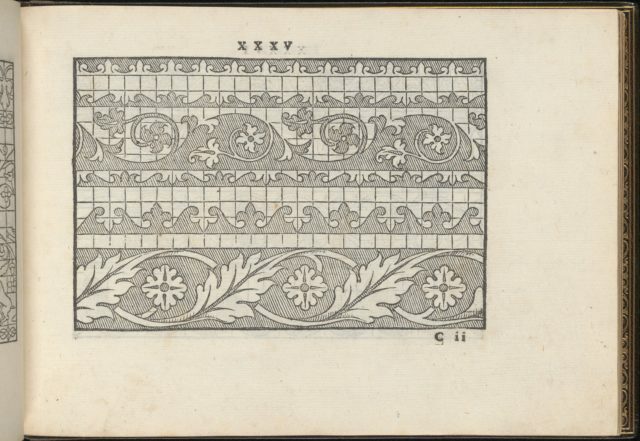 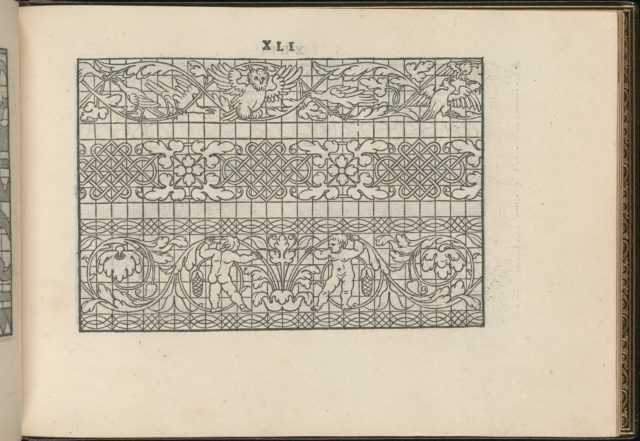 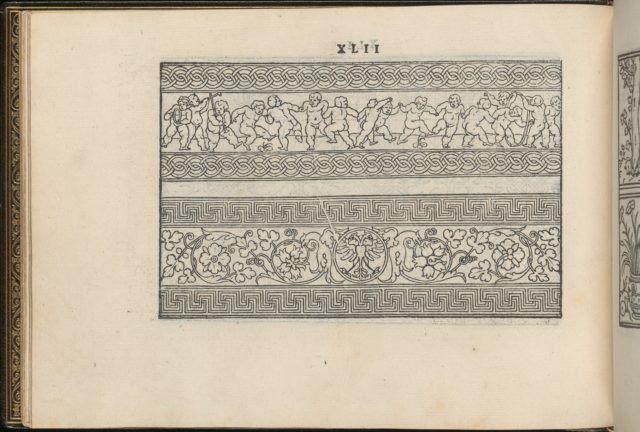 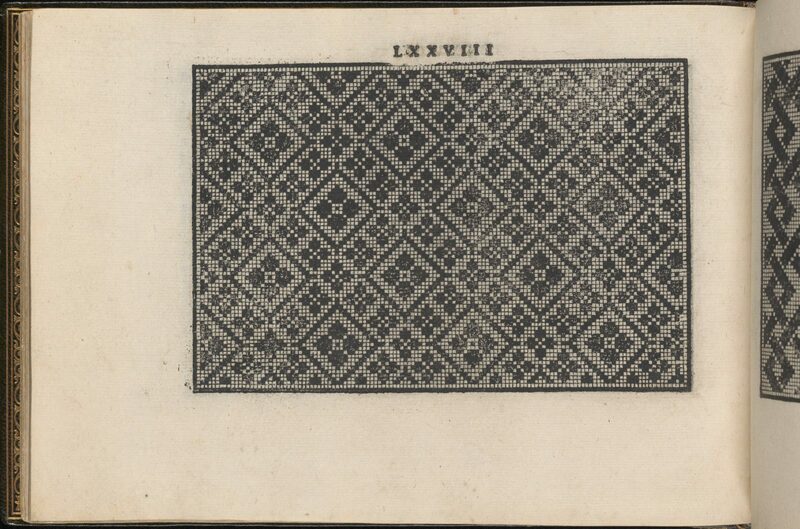 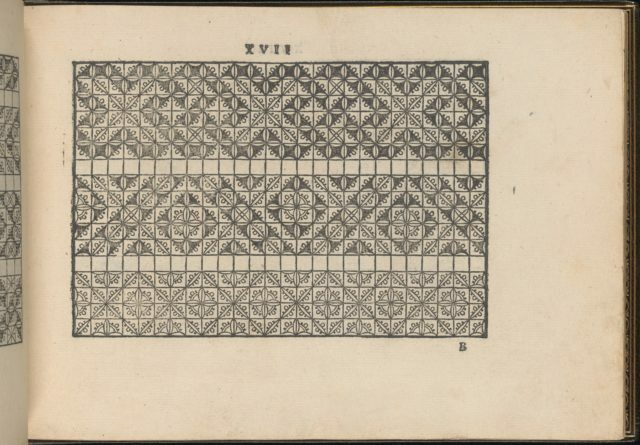 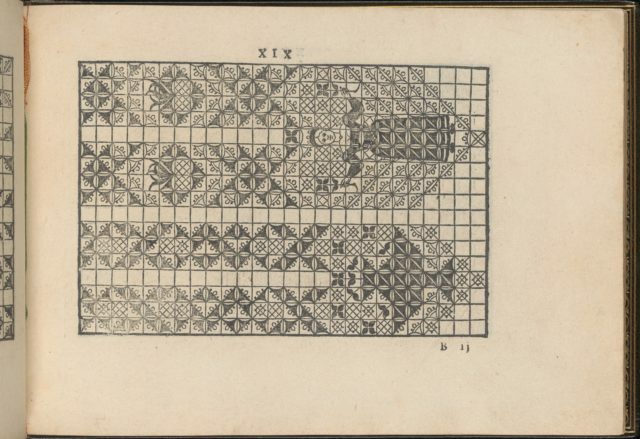 1520-1575 Venice.From top to bottom, and left to right:Design is decorated with a pattern of diamonds, each framing a 4-petaled flower in the center. 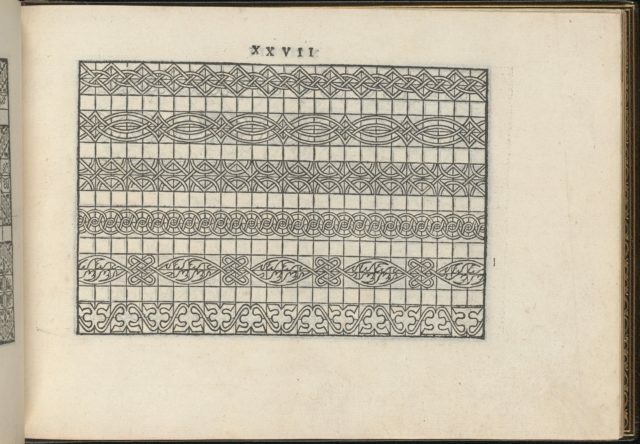 Surrounding each diamond is a pattern of smaller 4-petaled flowers.